Can you cook dinner with the lights out? 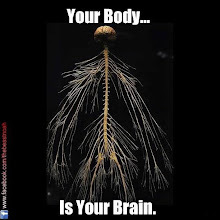 Neither can your nervous system. I love this short article. It gets to the point so well. Taking healthy children to the chiropractor protects them from a world of unneeded grief. Many adults think chiropractic is reserved for bad falls, back sprains, and headaches, etc. We know they are missing out on much better experiences in life. This goes even more strongly for kids. They grow so fast from age 0-18 (especially in the womb) that they need chiropractic to help them develop properly. So, I like the author's question: Can you cook with the lights out? No, you can't cook with the lights out. Can you imagine trying to decide when a skillet dish is ready when you are stirring the dark? The same goes with the nervous system. It can't do two things at once. 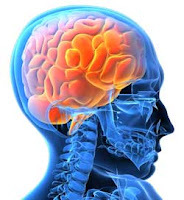 When the nervous system is stressed, it can't heal properly. I signed up to learn more about Beyond Organic, a cutting edge new company. Basically, its founder, Jordan Rubin, is someone I really admire. He was near death and cured himself with unadulterated foods that are hard to find. He then founded a successful nutritional supplement company. Now he is doing something that has my attention. He has spent the last two years acquiring land to raise healthy, grassfed beef and dairy, as well as the “purest natural spring water” in the United States. These organic products will be life changing because of their uncompromising nutritional content. Unlike his supplements, they won’t be available in stores—you have to order them directly from his farm. Along with great products, customers can earn money by sharing the Beyond Organic story. Below is a link to sign up and learn more. You can sign up free for more information. There is no financial commitment until September. This is the best time to explore Beyond Organic’s mission and products. This is an interesting article in Natural News about Florida doctors turning away obese women refusing to take them on as clients. 1. It's bound to happen. 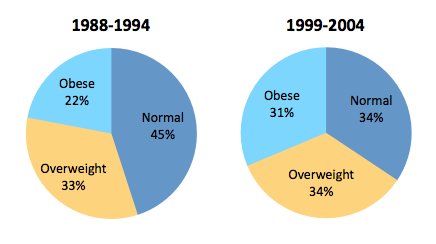 Obesity makes it hard to pin point causes of health problems. Doctors who are sincerely trying to help someone can be accused unfairly for missing a disease. 2. The article specifically states there is a high risk of complications and death when an obese person undergoes surgery. The cost goes up for additional professional training, additional surgical supplies, equipment, etc. 3. Fat tissue synthesizes inflammation which damages organs. Fat tissue pumps out painful inflammation. Taking a pain pill is not appropriate treatment, it just covers it up. 4. It has been surveyed that most doctors do not address obesity with their patients probably because it is now considered a disability that needs protection under the law. Make a comment related to weight and a lawsuit could follow. 5. The average doctor is not a weight loss specialist and probably prefers to refer their patients to those who are specialists. 6. I used the words client and customer because doctors are also in business. Hospitals cannot turn away someone during an emergency, however doctors have every right to choose who they will work with. Patient may be a misleading term. The person seeking health care is still a customer. The doctor sells a service. The doctor can't sell everything. Doctors are not Walmart! Doctors do not sell cures either. Doctors provide a service. They serve. But the customer also has a responsibility to work on his or her personal health. If they lack knowledge, they need to find knowledge. 7. Obesity may be seen as an addiction. The addict has to make the decision to detox and get under continued treatment. Just my views. This shows a serious problem with health care that won't be solved by changing the way we pay for health care (health care reform). I hate to see people suffer. We all do. The most important step we can take is in our own self care habits. 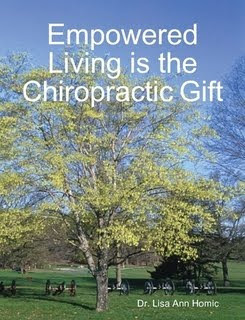 Chiropractic is not a treatment. It is a mind-set. A practice member asked me this week, what can she say to friends who tell her their medical doctors says they shouldn't go to a chiropractor. The person she was talking about had a disc issue and the medical doctor said chiropractic would damage the disc. Tell your friend, the physician may not know there are many types of adjusting techniques, especially gentle, low force adjusting methods. Something important chiropractors can provide is nutritional counseling. We can teach someone how to feed the disc so it can be less inflamed. Proper chiropractic care and nutrition will also help the nearby joints. Neighboring joints often take on more stress as the injured area is immobilized and becoming calcified. The most important part of caring for degenerated joints are the nerves. We must keep the nerve energy ignited. 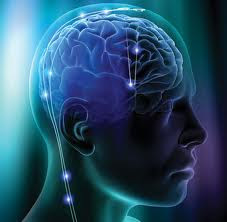 Nerve communication stagnates. A damaged joint means damage to the nerve over time. Other areas of the body are also impacted. Most medical specialists don't look beyond the injured site. If anyone has questions, a chiropractic consult can help someone understand how chiropractic care can address quality of life. Long term practice members know that but we have to let our non-chiro friends learn this information so that can come aboard, too. Sharing your own story is the best way to get the chiropractic message to everyone. Need Bio-Freeze? Pillows? TENS units? 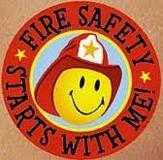 In Today's Citizen: Why Wait for a Fire? Here is the link to my article published in today's Citizen. 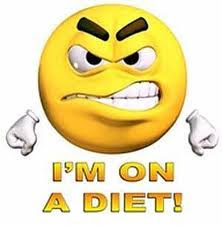 Someone came to me recently for an adjustment and complained she stopped losing weight while following a very popular diet program. She was disappointed because she was staying well below her allowed points but not getting the results she expected. She was pleased with her intial weight loss in the beginning but the improvements came to a halt a few months ago. This confused her because she put in a great deal of effort adding exercise to her routine. After talking to her for a few minutes I realized she was cutting down on a very important food group that would have allowed her to heal adequately from the back sprain she suffered after a weekend of gardening. I explained her injury would not have slowed her down as much if she was not depriving herself of this food. She also was eating too much of the foods she was told could be eaten in unlimited quantity. She was shocked to hear this information. I gave her some resources to look over and her determination returned with a vengeance. Was it the adjustment or the quick coaching that perked her up? If you want to find out what misinformation she was given, come in for a "power surging" adjustment and I'll fill you in. Are Your Eating Beyond Organic? Are You Eating Beyond Organic? · The first probiotic infused spring water to support digestive and immune system health. There are MANY significant features that set these foods and beverages apart from what you would find in health stores. For example, we have all seen "organic" and “grass-fed” beef at Whole Foods. But did you know that organic beef requires that the cows consume 30% grass? Only 30%! Jordan Rubin's new company is taking 8,000+ certified organic acres in Missouri and Georgia to raise cattle that are free roaming, Green-Fed, and genetically superior cows. (By the way, Green-Fed is a more correct description than grass-fed, and you will learn more about that in future newsletters). You can click HERE for several videos that describe the products. One reason I am very excited about this company is rather than putting this food in health food stores, “Beyond Organic” will be skipping the middleman and will ship these foods directly from their farm to your family! It has always been a huge pain for me to try and get grass-fed beef, and especially raw dairy products. But now, with Beyond Organic, the foods and beverages come to me! 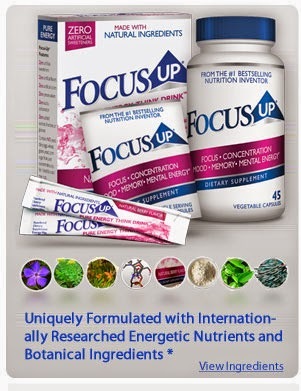 Another feature that sets this product line apart is the infusion of clinically studied probiotics. Probiotics are the naturally good flora that are so important to supporting digestive function and boosting immune system health. Also, the dairy products are produced by cows with specialized genetics that produce milk that is highly tolerable and very digestible. The really great news is you can literally be one of the first people in America to live Beyond Organic. Since Beyond Organic has not officially launched, from now until October you can become a Beyond Organic insider. Anyone who is interested in learning more about these foods and beverages, or even the potential to get your Beyond Organic foods and beverages for free by sharing this message with others, can become an insider nearly five months before the rest of the world hears the good news about the new company. There is NO fee to sign-up now through September; you will be educated on the Beyond Organic lifestyle, have the opportunity to test some of the products and discover how you can share the Beyond Organic message with friends, family, colleagues and for physician's, your patients. All of you have recommended healthy eating options to others, and now you can share with those you know and love how they can consume the healthiest foods and beverages available and be compensated for doing so. Over a decade ago, Jordan started Garden of Life, one of the leading nutritional supplement companies in America in his parent's friend's garage with his dad's credit card and a dream. Now you can be part of Jordan's new vision. This is truly a ground floor opportunity and I jumped at the chance to become a part of. And now, I am asking you to join me. If you would like to get insider access to Beyond Organic at no cost, you can register here: http://www.betterlivingchoices.com. Once you hold your place by signing up, you can then invite your friends to do the same. I have never been a huge fan of direct selling companies which often produce inferior products at inflated prices. However, these are literally the best quality foods and beverages I have ever seen, and they provide real value to everyone who purchases them. An area of focus for Beyond Organic that aligns very well with my beliefs is their mission to help feed and clothe widows and orphans by partnering directly with ministries Non-profit organizations. This groundbreaking program called “Give a Meal, Get a Meal” is powerful, and once you get set up as an Insider you can watch all these amazing videos and see the vision for yourself! Healthy Food that Taste Amazing! I ONLY advise my friends and family to eat what I eat and these are the foods I will be eating every day. And now, I am inviting you to do the same. One you sign up as a Beyond Organic Insider you will receive your own enroller link and code. If you have friends and family who may also want access to these amazing healthy foods and beverages, please share this message with them on FACEBOOK or email your contact list. Make sure once you sign up as an Insider you go to the back office page to watch the video archives where you can find out more details. To watch a 40 minute Webinar of the vision of Beyond Organic and several other informative short videos, visit http://www.betterlivingchoices.com .